Social media marketing strategy is essential to unlocking the benefits of social media. Credible research is necessary to determine what the right social media marketing strategy is for your situation. As we’ll see here, there are numerous pieces of current research that demonstrate that social media is a prudent channel for marketing investment. As Forrester and others show, social media is starting to attract marketing spend previously allocated to SEO and other forms of digital marketing. 5 years ago, droves of advertisers started funneling newspaper and TV budgets into digital channels. Now the money is flowing to social media. It makes sense to shift your marketing dollars to where people are actually spending time. And more people are spending more time with social media. Adjust your social media marketing strategy accordingly. But as more time is spent on mobile devices, more time is spent on social media networks: 30% more time according to this study from March 2017. But there is something more important than time spent with mobile. It’s the fact that social media impacts search engine results. An interesting study published by QuickSprout determined that social media sharing has a direct influence on search results. 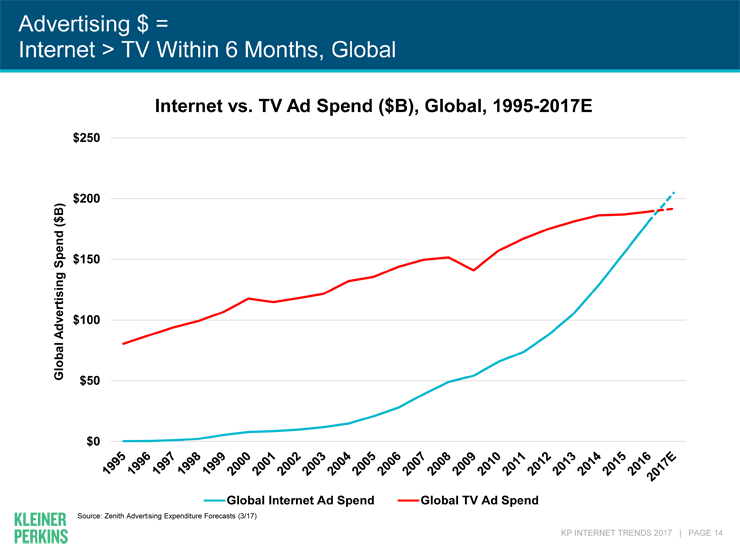 Driving Growth of Internet Ad Spend is the Clear Shift to Mobile. 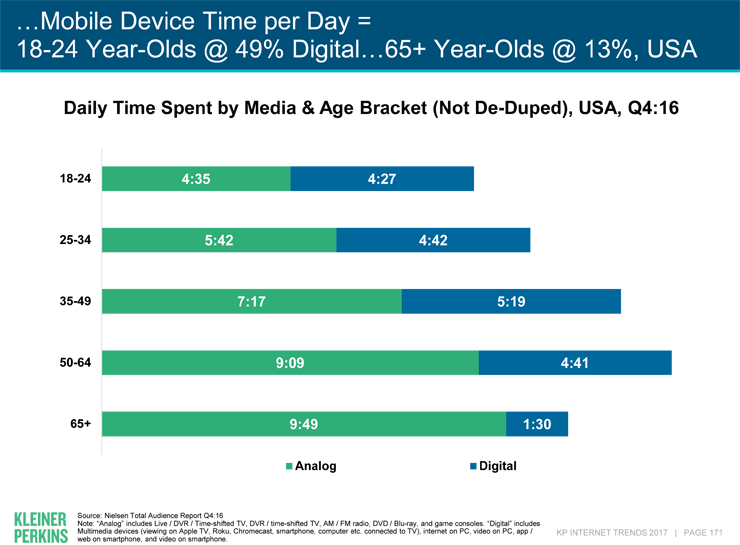 Across almost every age bracket, time spent with digital is up on a relative percentage basis. The Shift to Mobile and Increased Time Spent with Digital is Having a Major Impact on Social Media Platforms. Forrester tweeted in February that it expects search marketing budgets to shift to social. They also predict that Social media advertising will increase faster than any other digital channel. I’ve looked at Forrester’s past predictions and, after four years, their earlier forecasts turn out to be strangely accurate. Check out Forrester’s tweet and the graph below. See how steep that social media curve is? The thing is, if you’re VanCity or any other smallish business fighting behemoths, you can win the fight with social. For now, social media marketing is a way to level the playing field. By using all of the social platforms and being authentic (not easy) you can drive likeability ratings (yes this is important), new signups, new accounts or whatever measure of success you use. Executing a social media marketing strategy is the new solution. I’ll dive in here and explain why. Depending on your age, you will use anywhere from two to six social media platforms. The average user maintains five social accounts. That’s a lot of social! A typical 23 year old will use Facebook, Twitter, and Instagram every day. 88% of teens check Twitter at least once per day. 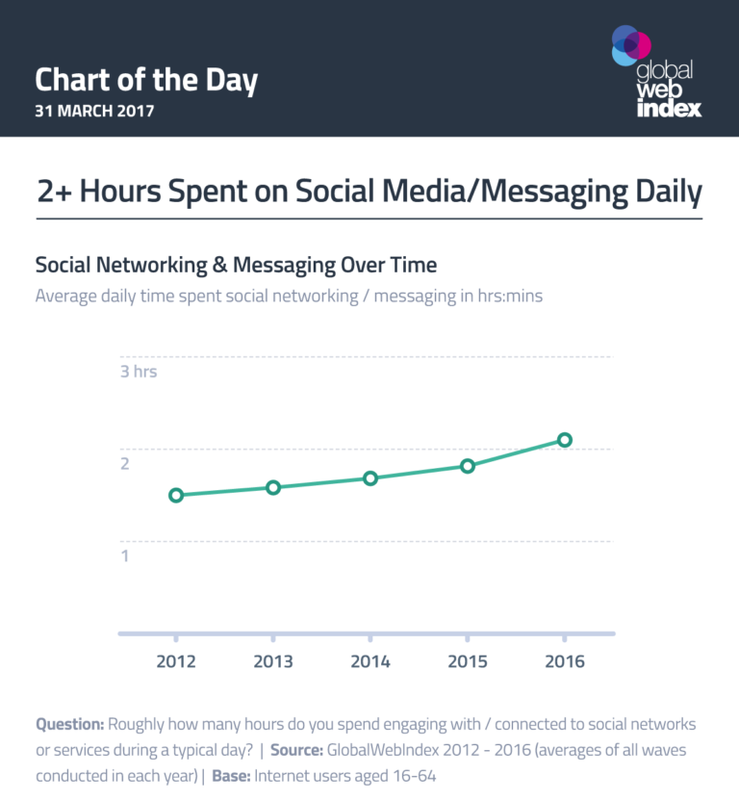 Aside from the odd Google search, a mobile game and generous amounts of instant messaging, a lot of time is spent on social. Also searching, playing games and instant messaging. All of these social platforms contain many, many posts. But some of these posts actually translate to real world sales. Not many, but some. Recent research from the University of Buffalo suggests that “social media posts with high engagement have the greatest impact on customer spending.” This explains the evolution of influencers, doesn’t it? A businesses’ social posts significantly strengthen the effect of traditional television and email marketing efforts. If you’re already advertising or conducting an email marketing program, social is a great fit. With so many people using so many social platforms, more people are engaging with brands on social. And guess what? You can’t engage with an AdWords ad or YouTube video like you can with a follower on your Twitter or Instagram channel. Millions of Canadians use Twitter every day to search for the things they used to use Google for. While they’re reading Trump’s tweets they’re also searching for paleo recipes, pilates studios and weight loss pills. Sometimes in the same session. This recent trend for using social as a search engine is the reason why Twitter turns up in search results. Search Engine Optimization — the black box of the interweb — has always been the preferred methodology for organizations that can’t figure out how to get on the front page of Google. Well, here’s something they don’t tell you: Twitter helps you get on the front page of Google. It’s true. 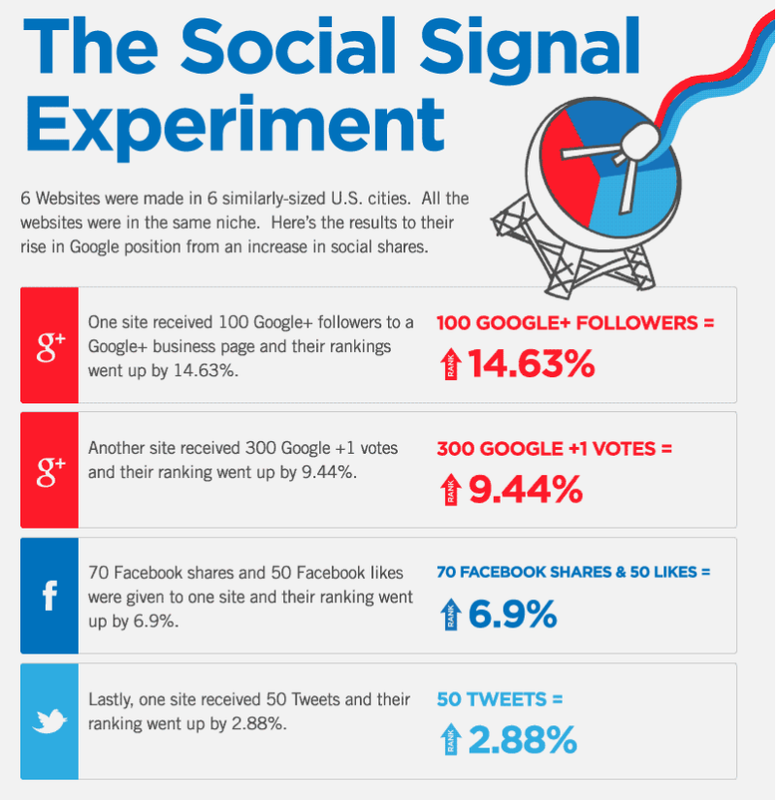 Social hits search engine results and it hits them hard. It’s a great secret and the best search firms are pivoting their businesses to include search now. The other angle is that SEO can take time. And whoa Momma can it cost a lot of money! Social isn’t like that. At least not at my firm. I see small companies in very competitive businesses (plumbing, handyman services, realtors) getting huge upticks in website traffic and phone calls immediately. Did you know the top eight social sites drive 30% of all web traffic? The phone calls and emails usually start after two weeks of starting a Twitter and social media marketing strategy that includes SEO (hint: you have to tie all of your networks together with Google My Business; if they haven’t sent you a PIN in the mail you haven’t done it right). If you’re a Twitter user, you know how indispensable Twitter is as a news source. TV is so out of date! That’s why CNN and other networks that have embraced social media have vastly improved viewership numbers. 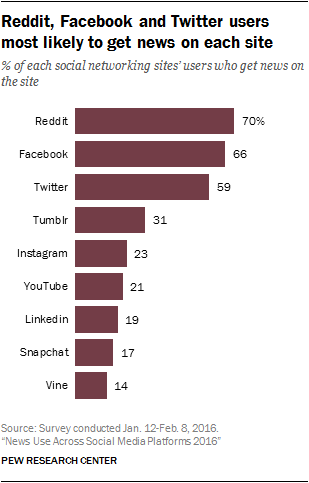 A majority of U.S. adults — 62% — get their news on social media, and 18% do so often, according to a new survey by Pew Research Center. That’s more than double from four years ago. Remember I told you about how social media is the new search engine? Well, when there’s a tragic event at an Ariana Grande concert, Twitter is the go-to place to find information about what happened. And there is never a shortage of information. The availability of news on social media compels more people to use social for news…because it’s where you find the news! Not to mention the pervasive 24/7 availability of news has created news junkies as never before. News on social is one of the best opportunities for brands. News has emerged as one of the major uses of social media. For those that get news on both mobile and desktop, the majority prefer mobile. Consumers who include social media as part of their shopping process are four times more likely to spend more money on purchases. According to another study by Deloitte, 47% of millennials say their purchase decisions are influenced by social media. It makes sense because social is the new search engine. If you are looking for a new bridesmaid’s dress or Internet-of-Things Thing, the chances are you will search Facebook and Twitter and Instagram and Pinterest. 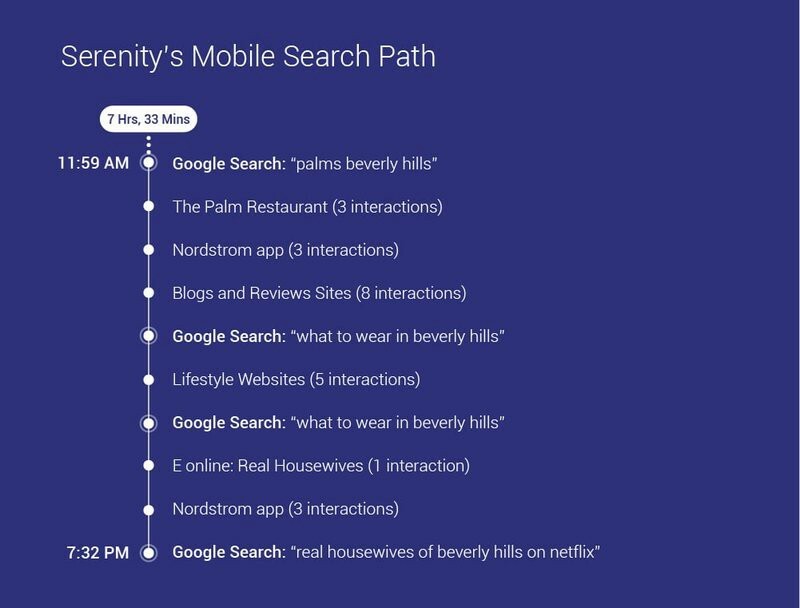 If the brand that carries your bridesmaid dress or IoT product has a Facebook or Twitter account, yes — you will visit those properties. Certain product categories are influenced more by social than others. But things are evolving quickly. I think it’s a matter of time before Kijiji and AutoTrader start leaking business to some enterprising son-of-a-gun with a killer Twitter API. Let’s say you launch a new brand. You spend a million bucks on this and that. You are clever enough to give away beautiful cups that the consumer will take home featuring your new brand. Let’s say your promotion involving your new brand makes its way onto Twitter. An influential user with, say, 13K followers says something nice about your brand on social media. What happens if you don’t respond? (consumers expect you to respond within an hour on social media). Well. It was a compliment, so not much happens. A tree has fallen in the forest. At least 13K people heard it! But what if someone had a complaint instead of a compliment? That’s another story. That’s a customer service issue. Customer service is the reason why 88% of companies with over 100 employees use Twitter. For many people smartphones have become their primary internet access device. This is especially true for females 18–24 who use their phones as their only internet device. Twitter was built on 911 technology and is truly a “mobile first” platform. So is Snapchat. So is Instagram. Mobile ad spending is expected to rise from $46 billion in 2016 to $87 billion in 2020. More than 23% — and over 64% of digital — will be spent to reach individuals on mobile devices. Website traffic is way down. Do you know what traffic is up? Social apps. Twitter. Instagram. Snapchat. But social is not as easy as running a $5,000 programmatic ad campaign. No. You have to actually do stuff on social. You have to be there to answer questions. Hit the ‘like’ button. Write clever copy. Run the odd ad. You’ve got to be there. It’s a lot of work. But if you are there — every day — your brand will have a major advantage over the other brand that aren’t. And there are still a lot of brands that are not on social. Every day. With content. With ideas. With the will to engage. A lot of brands have an opportunity right now to take a leadership position with a mobile audience that is active on social right now. More than half of marketers who’ve been using social for at least two years say it helped them improve sales. I’m surprised that number isn’t larger. Social media marketing is good for business, especially if you’re a public company. 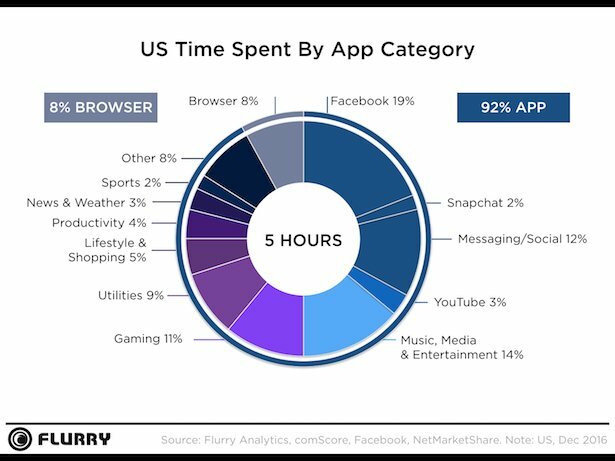 Here’s a new chart from Flurry Analytics that is mind-blowing: of the 5 hours people spend on mobile, only 8% is spent in browser. The overwhelming remainder of the time is spent in-app; on Twitter and other social platforms. As a discourse channel, social is tough to beat. People have built empires on social. It’s time to put the resources into social and hack your growth. Absolutely Everyone is on Facebook. But all the important people are on Twitter. 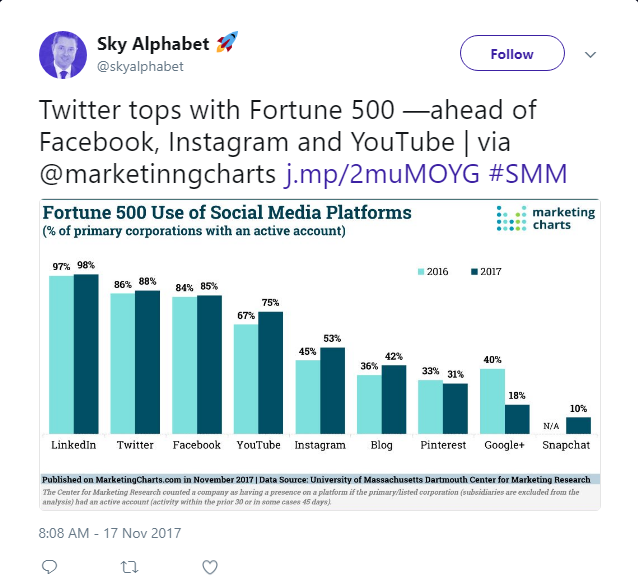 Reach out to Steve Yanor find out more about how Sky Alphabet can strengthen your social media marketing.